Launched at the beginning of 2013, Weird Beard Brew Co. operates from a site near Ealing and produces a number of hop-driven beers alongside classic styles. With the aim to “satisfy, enthuse and be enjoyed by whoever the drinker,” Weird Beard offer a number of core beers as well as some occasional, specials and one-off brews that push creative boundaries. 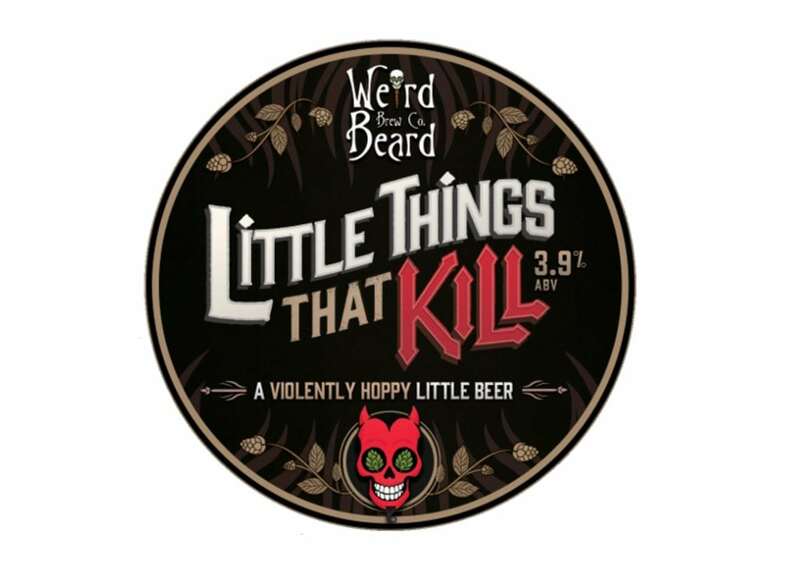 “A violently hoppy little beer”, ‘Little Things That Kill’ from the brewery’s core range is a profoundly full-bodied session IPA, especially considering the beer’s relatively low alcohol by volume. When poured, what’s most prominent is the foaming white head and lager-style effervescence. On the nose, an explosion of tropical fruit aromas from three types of American hops (Citra, Summit and Mosaic) is present alongside some grass and pithy grapefruit. Flavours of honeydew melon, passion fruit, sharp orange juice and grapefruit rind continue on the palate with an astringent, albeit refreshing, bitterness typical of India Pale Ale, ending with a lasting bitter finish with lingering grapefruit rind. Alongside Beavertown’s Neck Oil, this is one of the most impressive session beers being produced in London right now, especially considering the ABV. Further information on the brewery can be found at weirdbeardbrewco.com.